Paying with a credit card is a widely accepted mode of payment. It is one of the stellar examples of how technology has modernized loans by allowing people to settle their accumulated debt at a later time. Shopping can’t get any better than that. Banks ask applicants to fill out a form, so they can be in possession of important information related to owning and using a credit card. The bank will initially base its willingness to offer credit through a customer’s application form, so make sure to answer it completely and correctly. You have a high chance of being approved of a credit card if the bank knows you have the capacity to pay them back, which means your income is ample enough to settle any debt you accumulate from using one. The bank will ask you to provide proof of employment and this will include your monthly income or salary. Make sure your income meets a bank’s requirements before making another attempt. Switching from one job to another and staying for short amounts of time won’t look good when applying for a credit card. If you can’t hold a job for a considerable amount of time, how can you be consistent in paying your debt off? This kind of logic makes absolute sense, so banks will be wary of applicants who can’t hold a stable job. Try to hold on to a job for at least a year before applying for a credit card. If you’ve had a credit card before and applied for a new one, it’s easier for banks to keep track of your records. This makes an unsettled balance a red flag that’s easy to spot, so make sure you’re debt-free or you’ve been paying it off consistently to boost your chances of getting approved for a credit card from a different bank. Your credit score is a numerical representation of your ‘creditworthiness,’ which can be determined through your credit history. This is important since banks also use this to find out if an applicant can pay his or her debt. The higher the score, the more financially trustworthy an applicant is, so be sure to build your credit history. A good way to start is by paying your bills religiously. Keeping in mind that any bill can potentially be reflected in your credit report if you become delinquent. Your account can be sent to a third-party collection agency and severely tarnish your credit score. 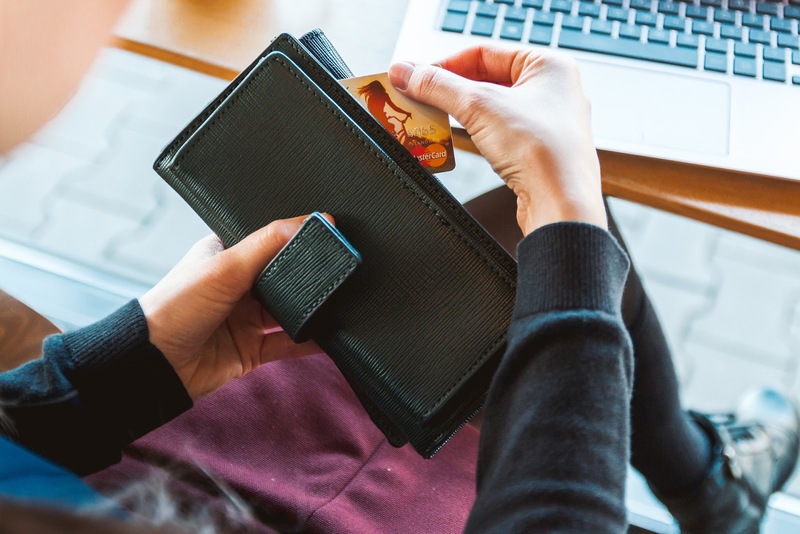 Despite its many benefits, having a credit card is a huge financial responsibility, so you need to be prepared to carry this kind of burden. Always keep these things in mind for banks to approve your application. Remember, if there is proof out there of you being creditworthy, you’ll be using plastic for shopping in no time. P.S To those doing the 52 Week Money Challenge, it is Week 46 already! Did you deposit the next amount yet?